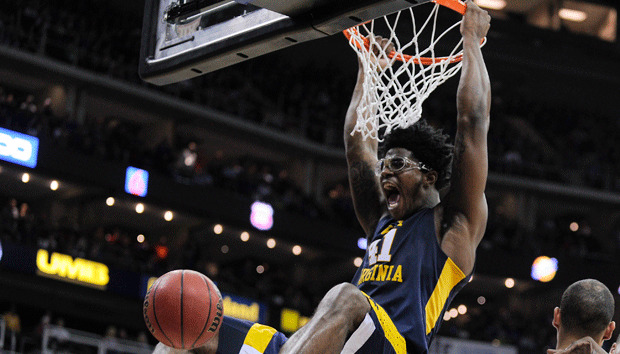 Everything you need to know about the West Virginia as they begin the NCAA tournament. The Case For: The Mountaineers' résumé is rock-solid. They have wins against Kansas and two each against Baylor and Iowa State. In the regular season, they had 11 against the RPI top 100, and 13 wins in the RPI’s toughest conference. Oh yeah, and then there’s that suffocating defense. Yes, it’s their neighbor to the southeast in Charlottesville that gets all the attention for protecting the hoop, but WVU’s might be the best all-around D in the country. The Case Against: The offense is varied and deep enough, but it’s not great. There’s no alpha dog to lead them—senior guard Jaysean Paige, their leading scorer at 13.9 points per game, is the sixth man—and they struggle in two key categories. They’re 287th in the country in free throw percentage (67.0%). From three-point range, they are 251st in the nation, with a paltry 32.9% mark. Yes, they get production from six players, but a close game could kill them. The blueprint to beat them is fairly straightforward. Hold onto the ball and make them shoot. West Virginia has not yet proven that they can win a game with their shooting, nor when a team locks them down. The Mountaineers will attempt to win a title with their defense, and it might be good enough to do so. But offense could be their downfall. They’ll falter against a team like Michigan State—a high-scoring team that makes opponents shoot from distance. Plus, there’s the notion—fair or not—that Huggins can’t win the big game. He’ll get a chance this year to prove it’s wrong.